On Wednesday April 20th, Legends of Fire, the cigar and fine spirits lounge at Northern Quest Resort & Casino held a Room 101 Brand Cigar party. I've missed a couple of these events in recent months and it appears Legends of Fire is doing things a bit different now. Ticket sales are now limited to a maximum of 50 per event and locker holders are allowed into the event 15 minutes early. Both these changes are positive and enhance the experience of these smaller events. Plus now I want to become a locker holder so I get early access. Each attendee was greeted upon entering with a bundle of 3 Room 101 cigars (2 from the HN line and 1 Big Payback), plus a sample cocktail created with Hennessy Cognac. The cigars and the cocktails we quite tasty. 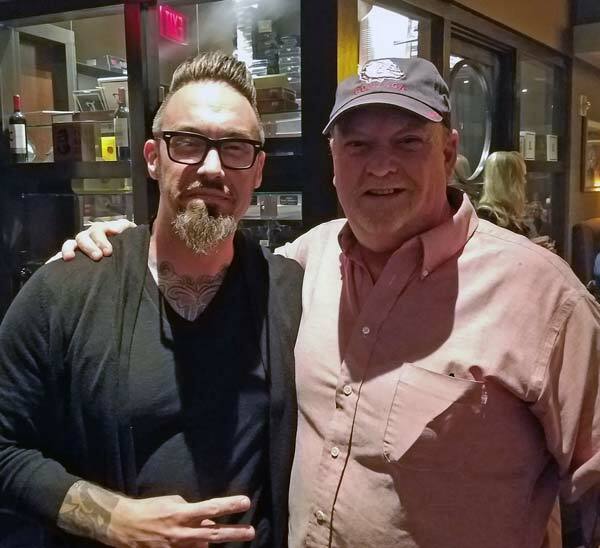 I did get to spend a bit of time with Matt Booth talking cigars, life and a wide assortment of other topics. While I didn't learn any insider secrets, I did find out that Matt is working on another limited edition that will be ready by the time IPCPR 2016 rolls around. Overall it was a great night and I had a great time. If you're in Spokane and haven't made it to one of these events your missing out on a good time!